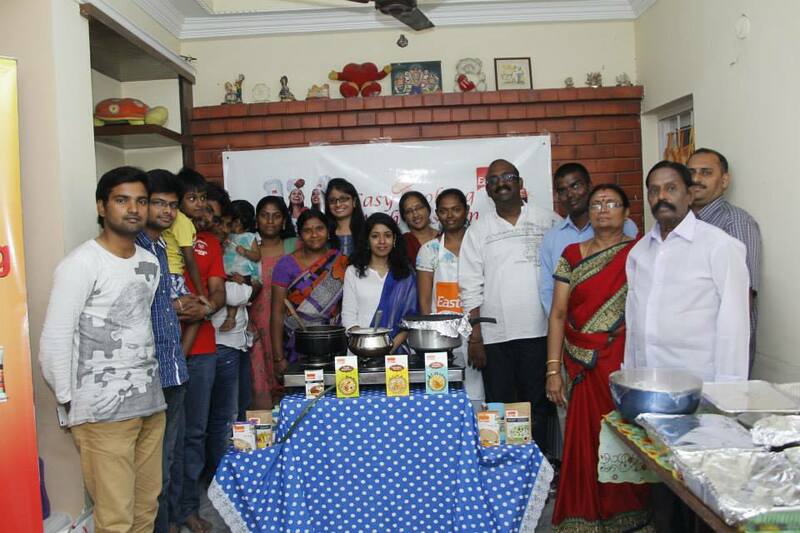 Our August month "5 Ingredients Challenge" was interesting and quite challenging to prepare fried items with only 5 ingredients. 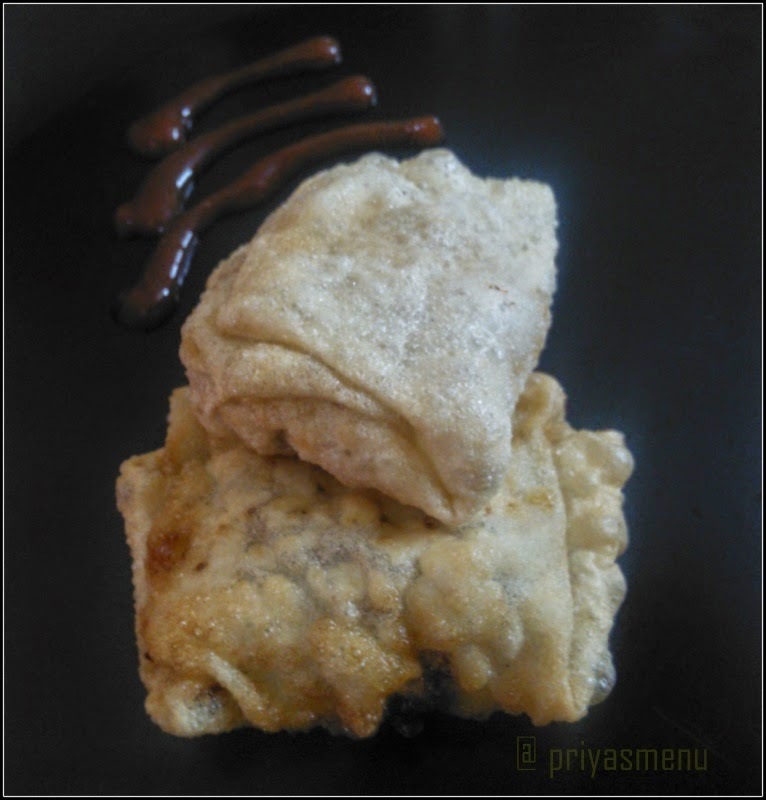 I prepared a simple and innovative fritter using papad and paneer with exact 5 ingredients including oil. 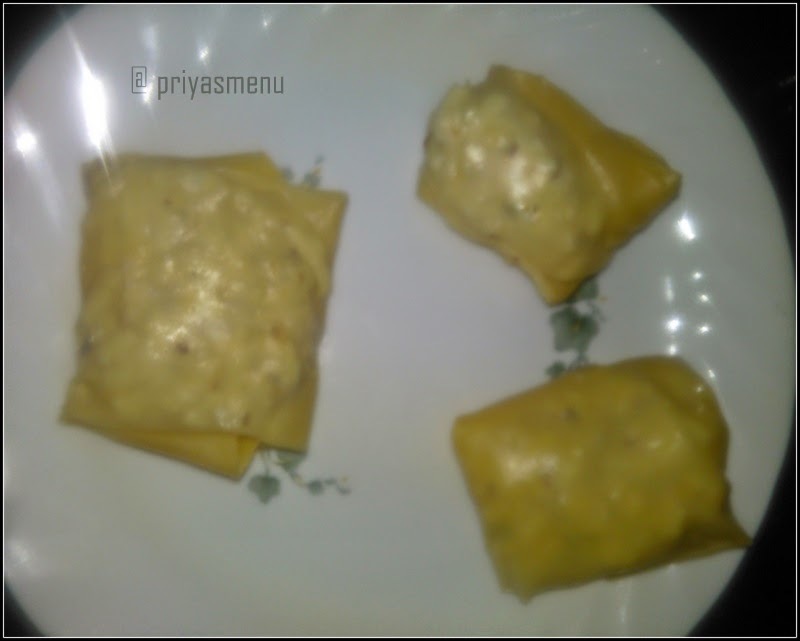 Lots of improvisation can also be done by adding basil, veggies along with paneer. 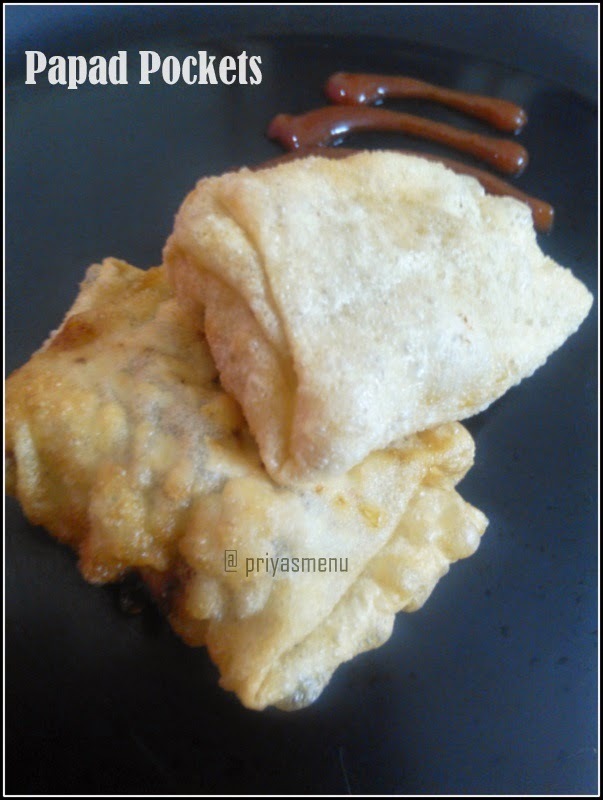 Paneer Papad is a fritter or fried snack which is filled with spicy paneer. 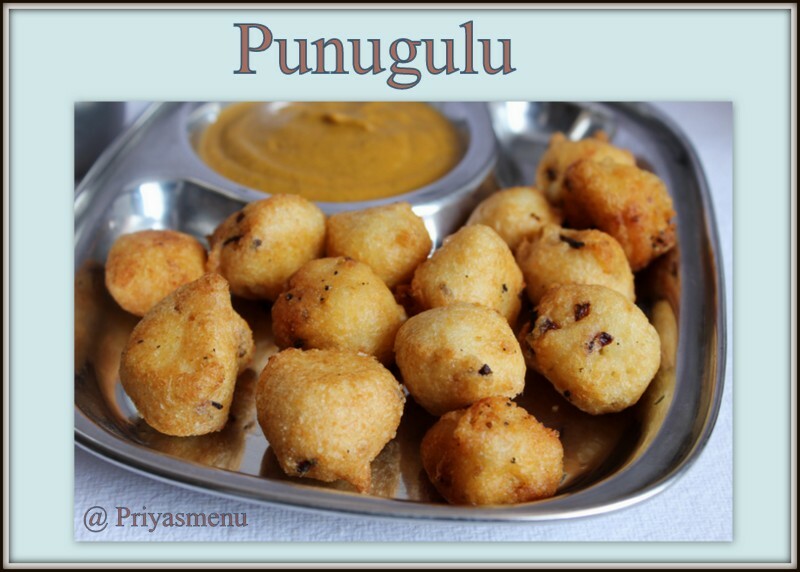 This is a perfect snack or can also be served as appetizer. 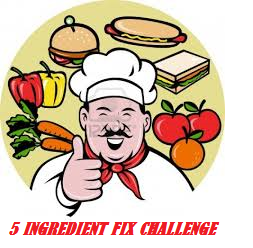 Are you are interested to participate in our "5 Ingredients Challenge" ? 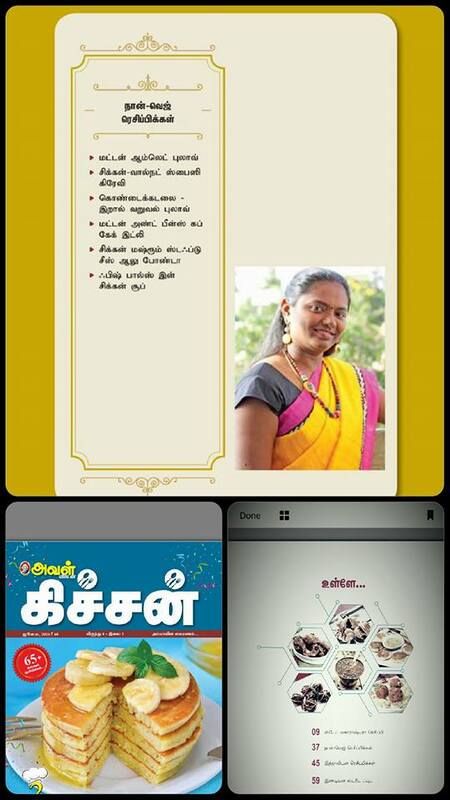 Then, mail to vimalalakshmi2010@gmail.com. 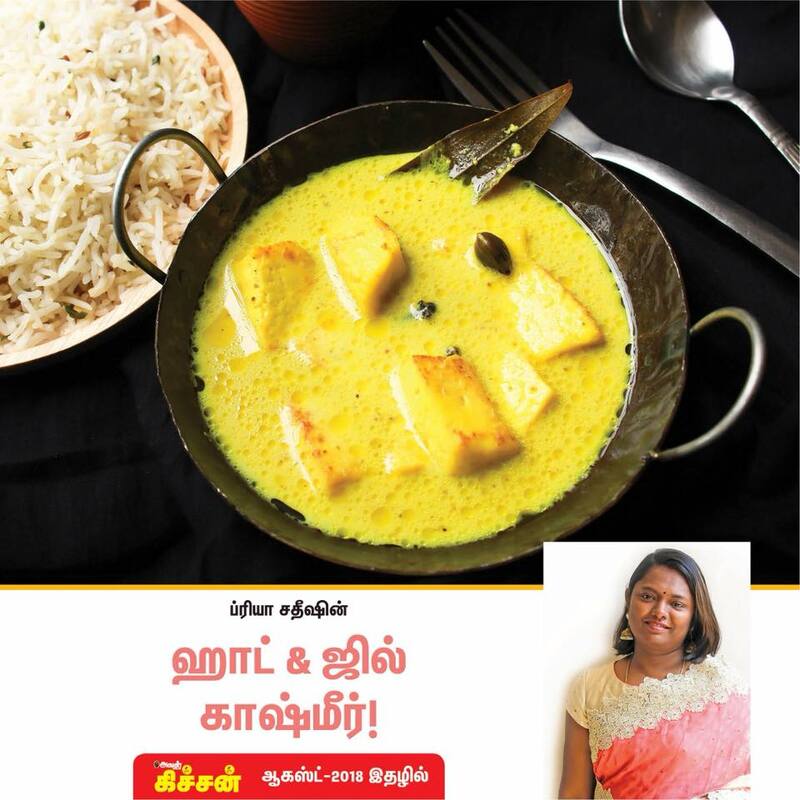 Take a grated paneer in a bowl or plate. 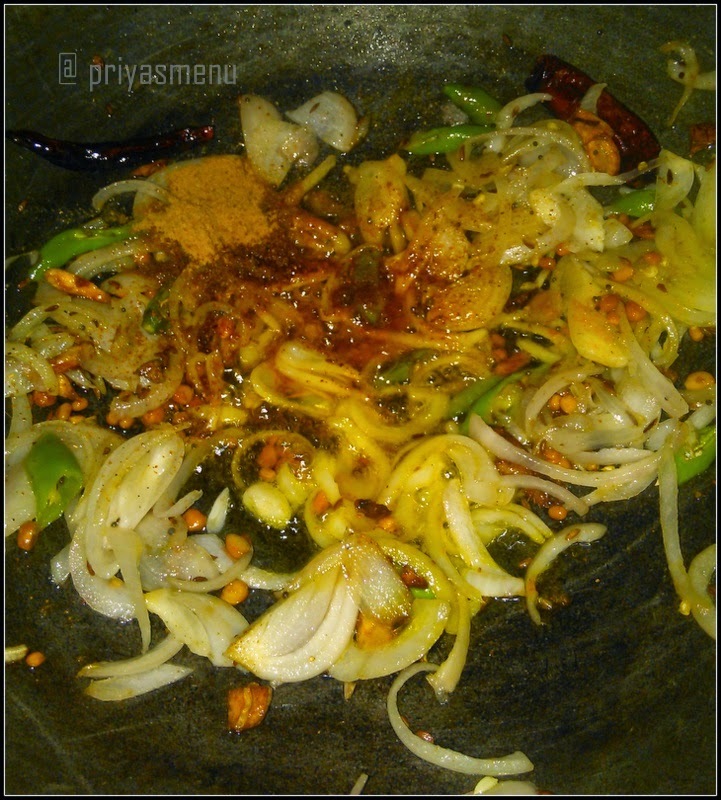 Add chilli flakes and salt. 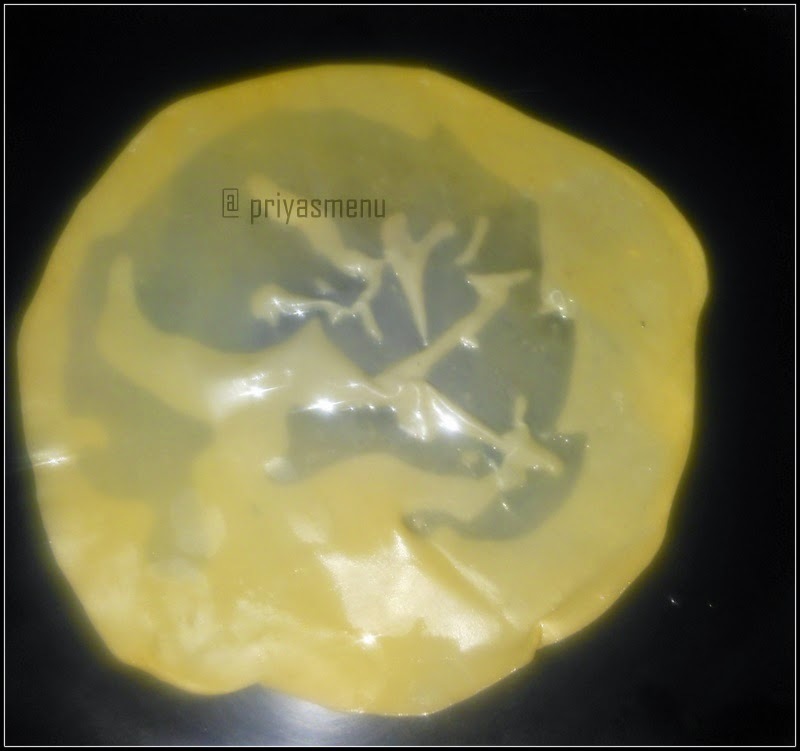 Take one papad / Appalam and immerse in a bowl of water for few seconds. 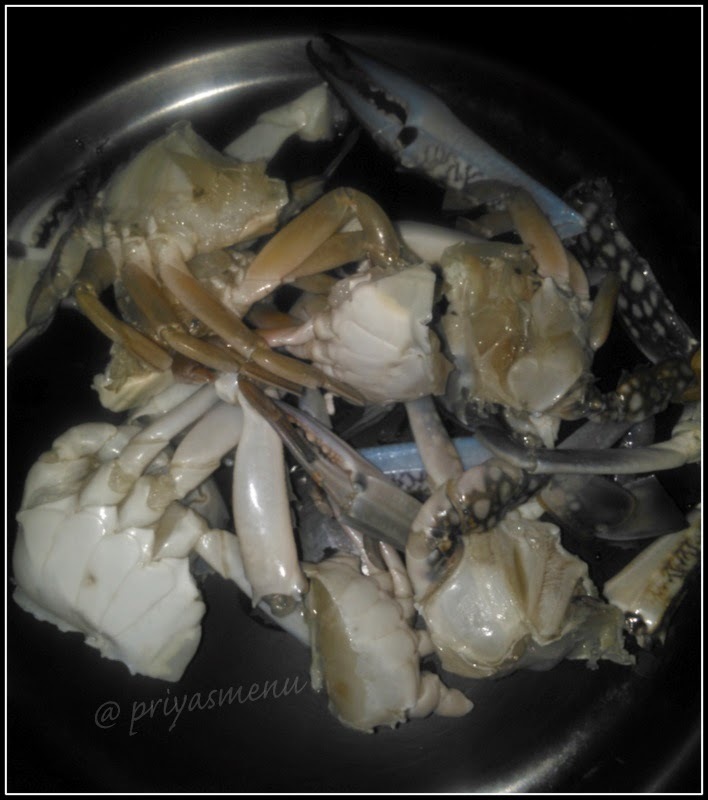 Remove from the water and place it in a separate plate. 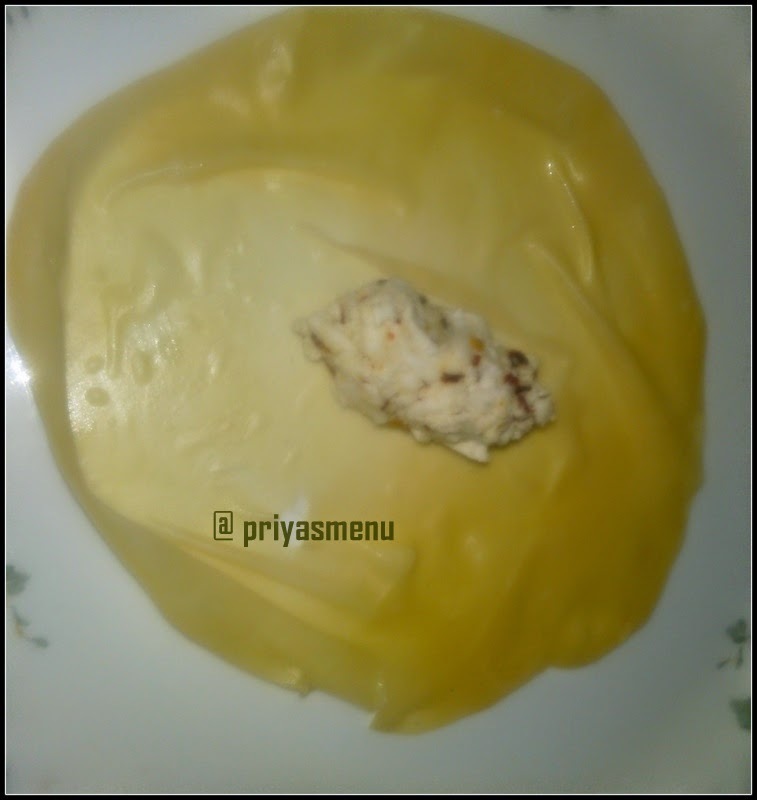 Take 2-3 Tbsp panner and place it in the middle of the papad. 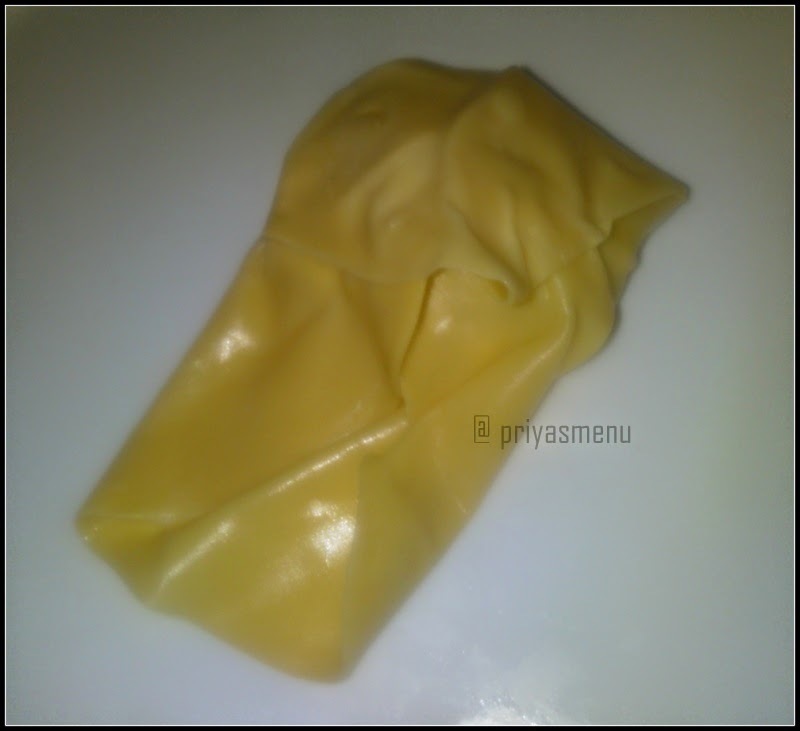 Fold as given in the picture and seal it with maida paste. Repeat the procedure for remaining papad and keep all the filled papad pockets to dry for 30-1 hr or it might take long time. 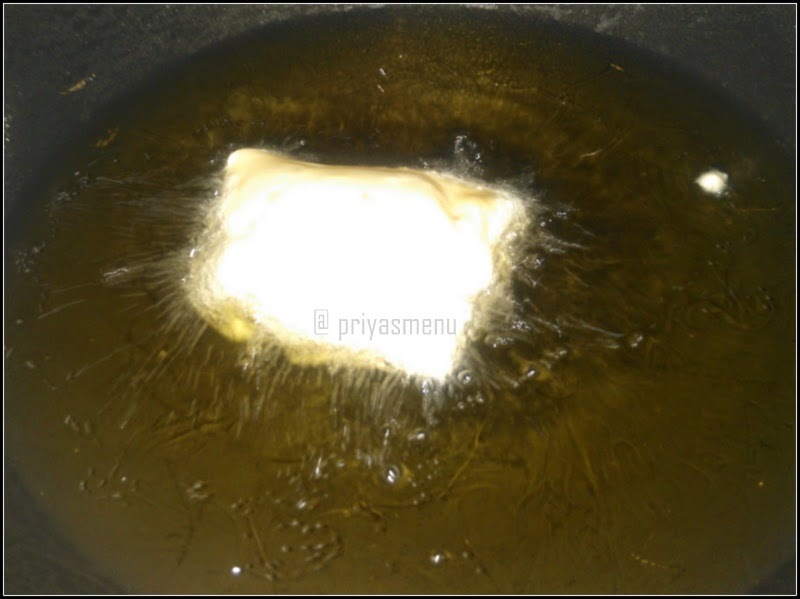 Once it gets dried, heat oil in a pan and deep fry them in batches. 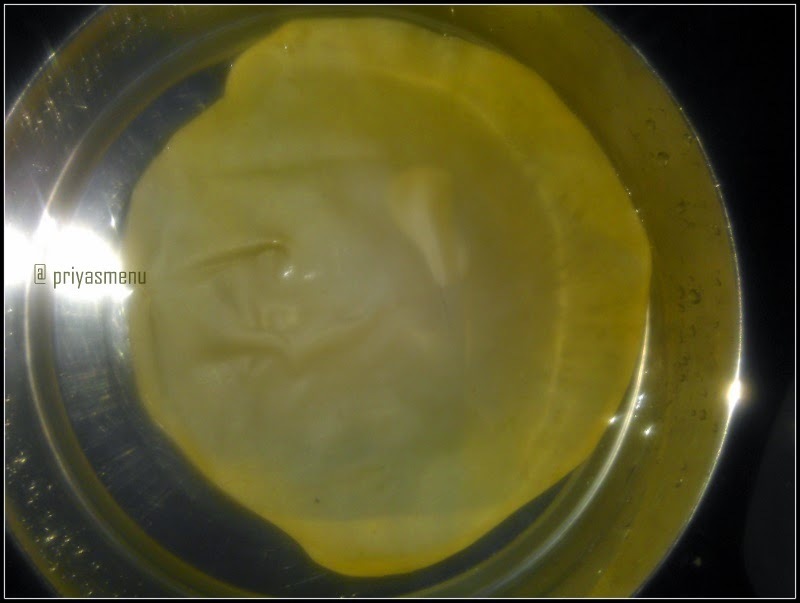 Care should be taken while immersing papad in water because it might tear. 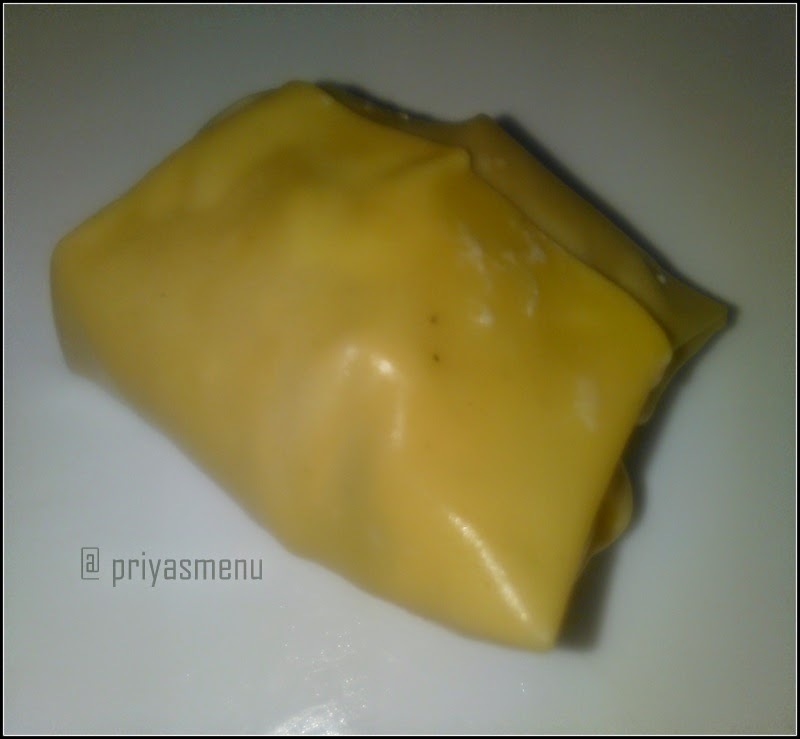 The corner of papad will be hard so dip the corners first and then immerse the full papad. 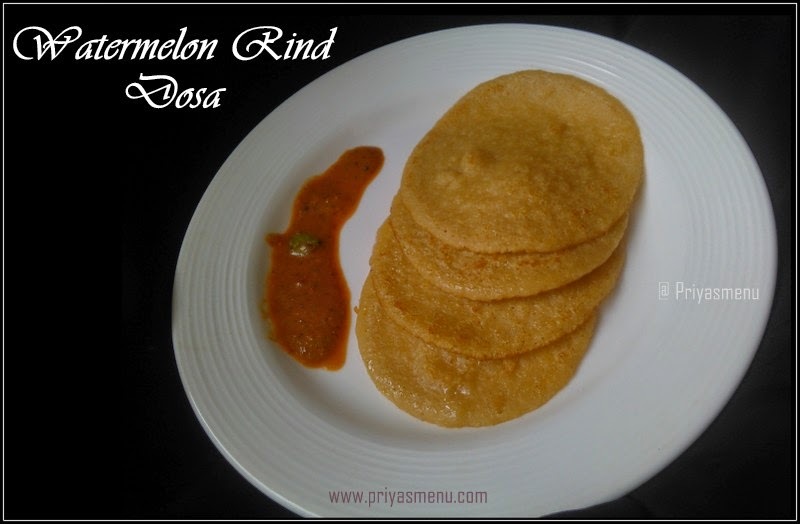 Drying papad is very important so dry it completely or it takes lots of oil while frying. 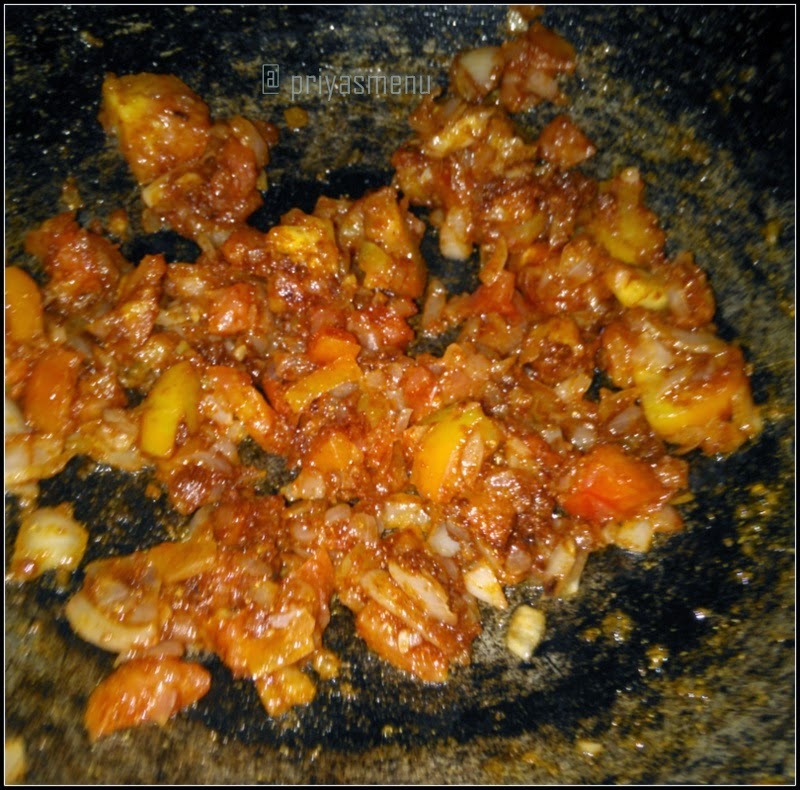 Fry it in a medium flame else the outer layer will become crispy soon and the inner part will be half cooked. 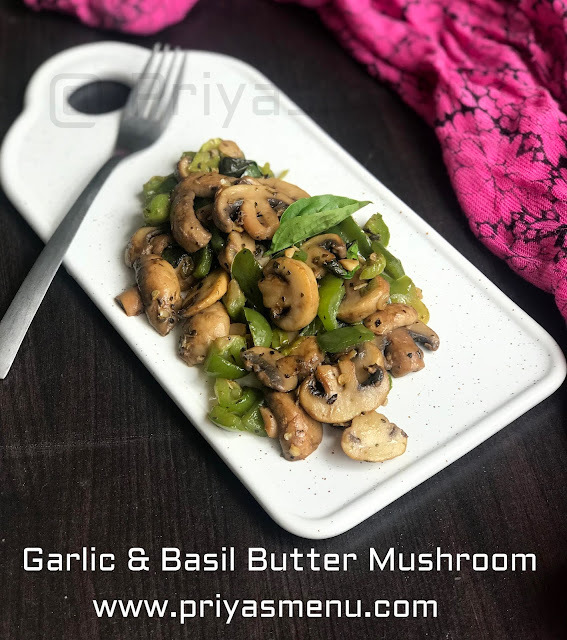 Since I am linking this recipe with 5 Ingredient challenge, I have used only 5 ingredients including oil. 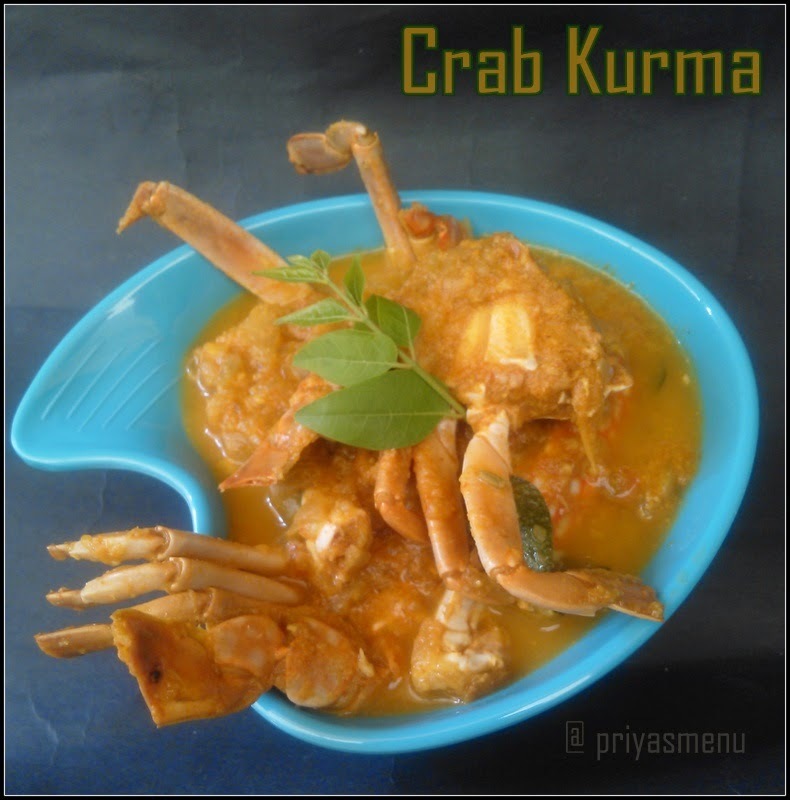 The same recipe can also be improvised by adding extra fillings and spices according to taste buds and creativity. 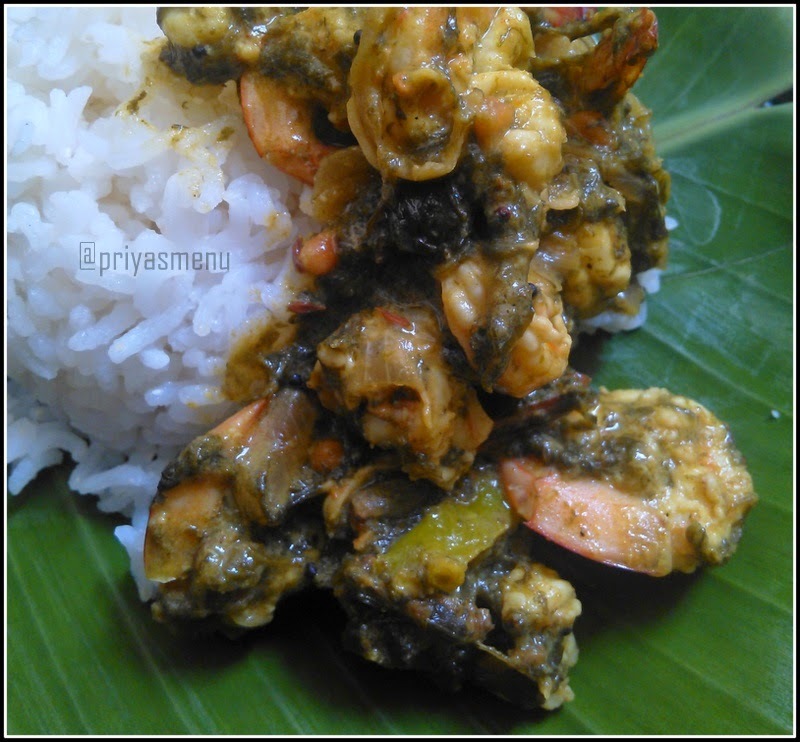 Royyalu Gongura is a very famous Telugu recipe which is prepared with prawns and Gongura. 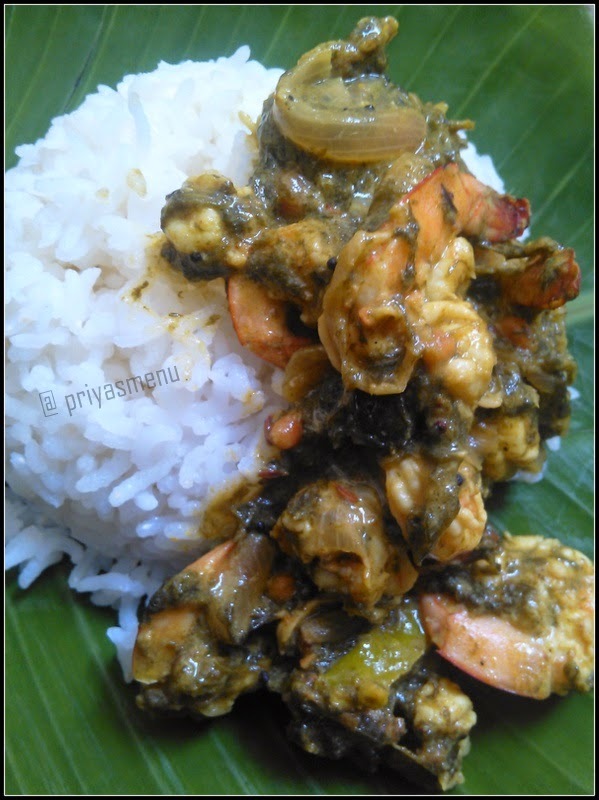 Gongura is called sorrel leaves in English which has a tangy flavor by itself. 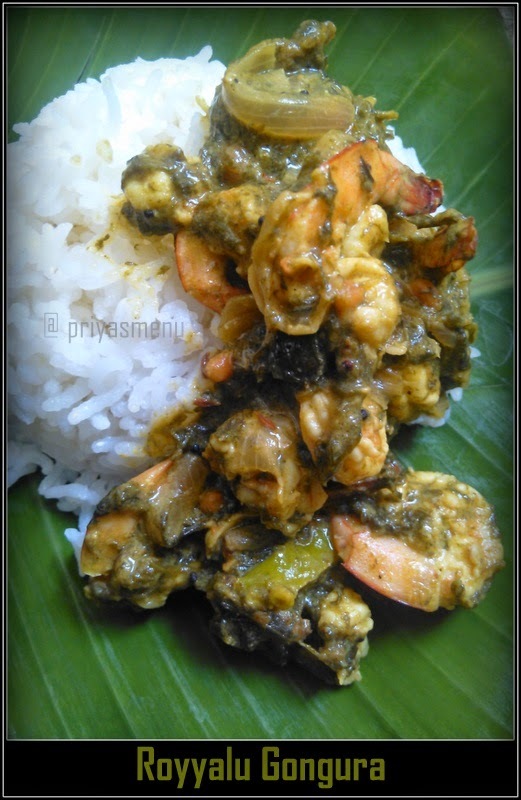 It is called as pulichakeerai in tamil and this green leaf goes well with all non veg dishes. 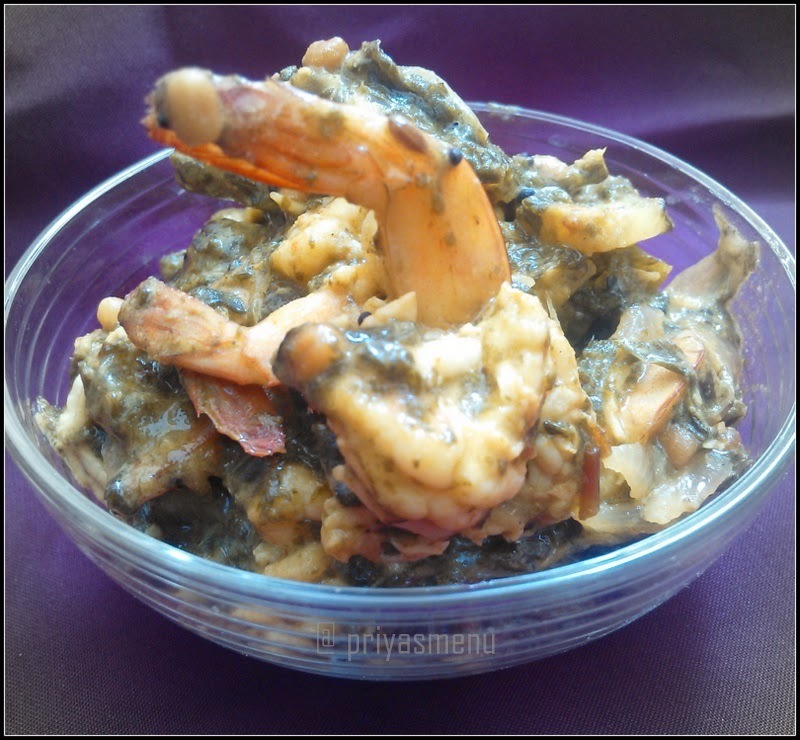 Prawns has a mild sweet taste and when it gets cooked with this tangy leaves along with spices, it gives a lip smacking delicious recipe. 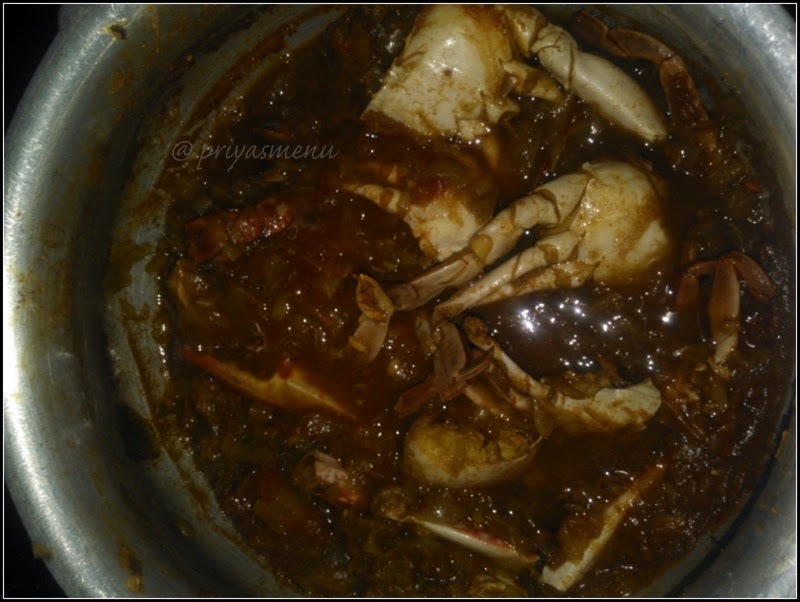 This is one of my favorite recipe which I had Bookmarked some 7 years back in a diary from cookery show. 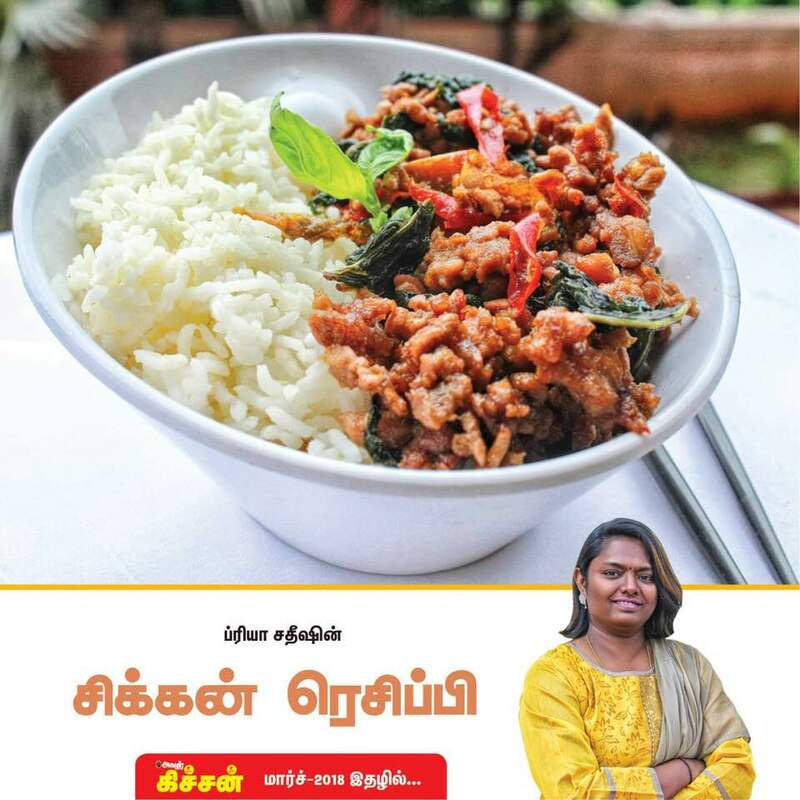 I don't even remember the show but its from some telugu channel :) Reading our old recipe books and trying the bookmarked recipes gives a great feeling and it also brings back all our nostalgic memories. 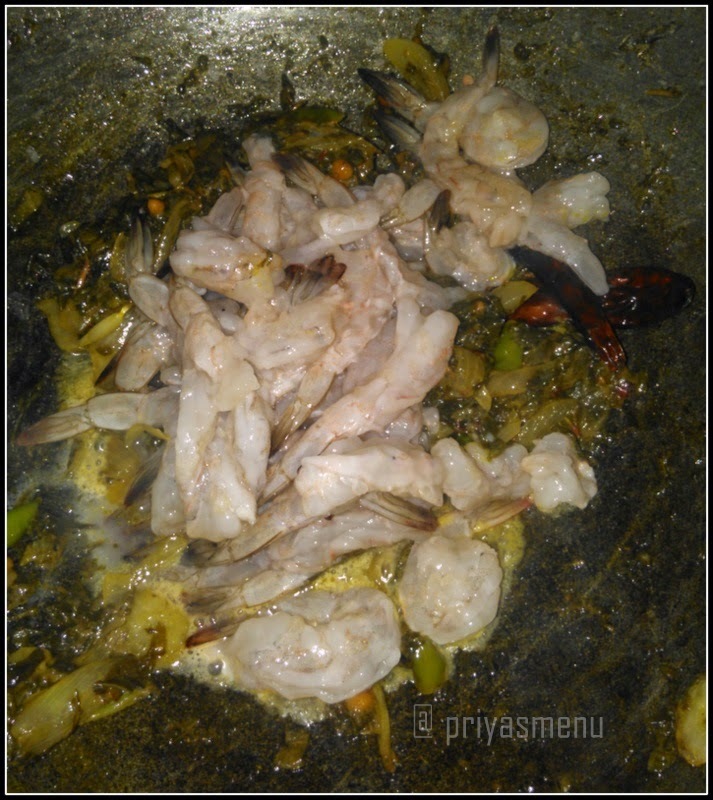 Cooking prawns is also an art in which time plays an important role. 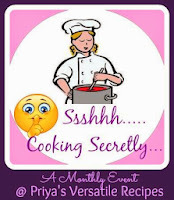 More cooking time leads to rubbery texture and the less time gives raw flavor. 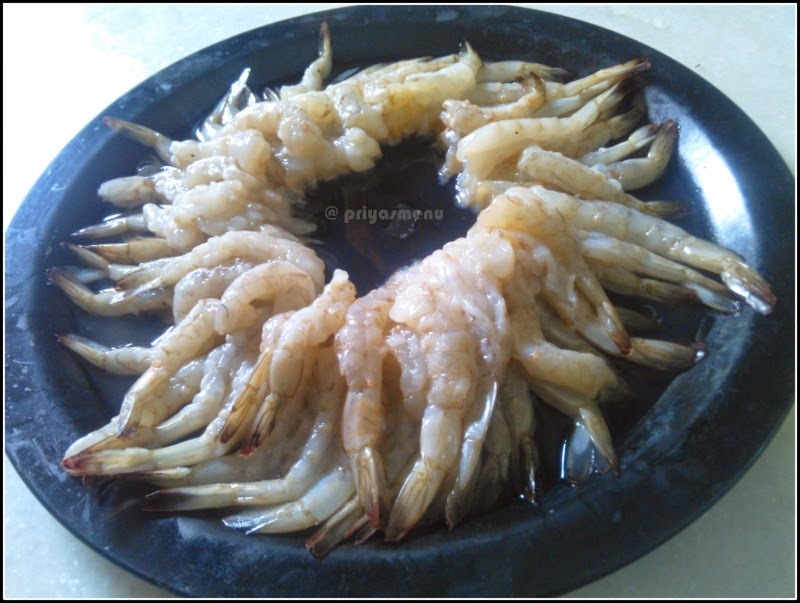 It is always better to add prawns at the last stage of cooking and cook it for 4-5 minutes to get its perfect juicy taste and flavor. 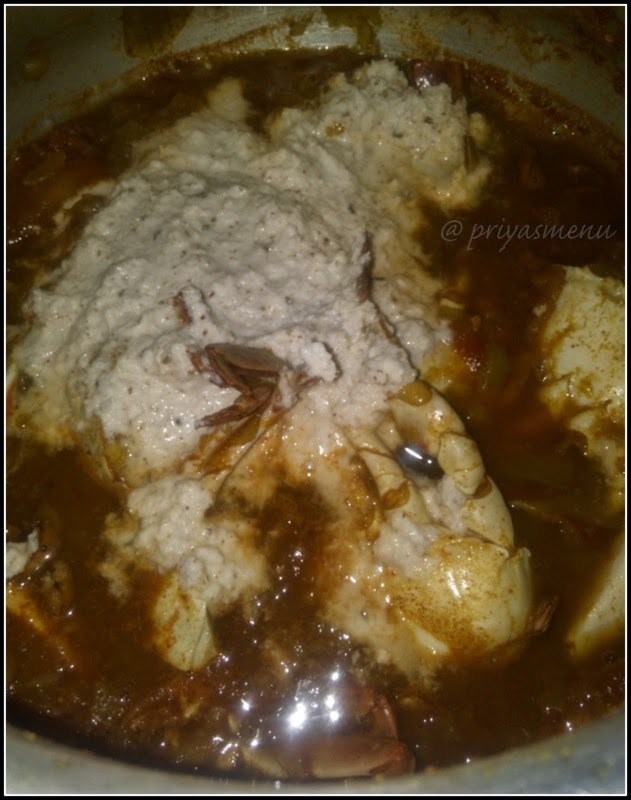 Once it starts spluttering, add Jeera followed by urad dal, channa dal, dry red chillies and a pinch of Hing. 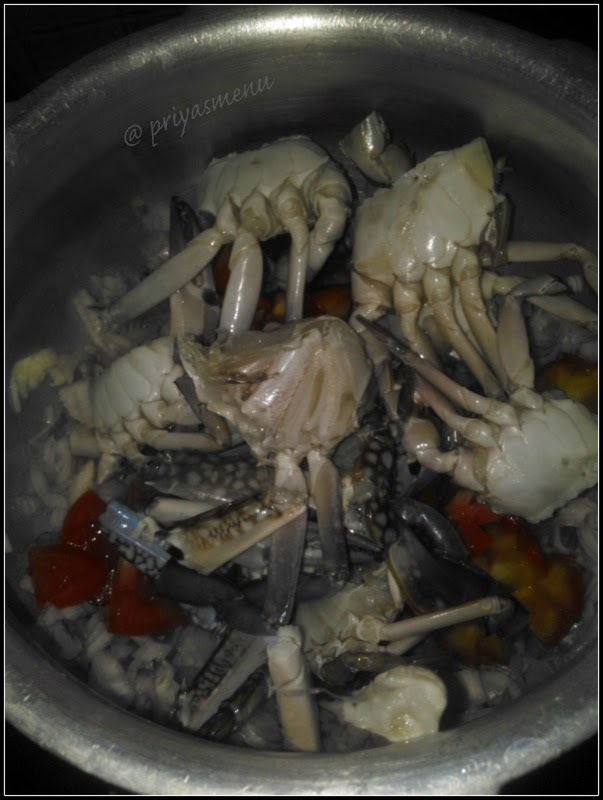 Add garlic pods and ginger strips.. Saute for a minute in a medium flame. 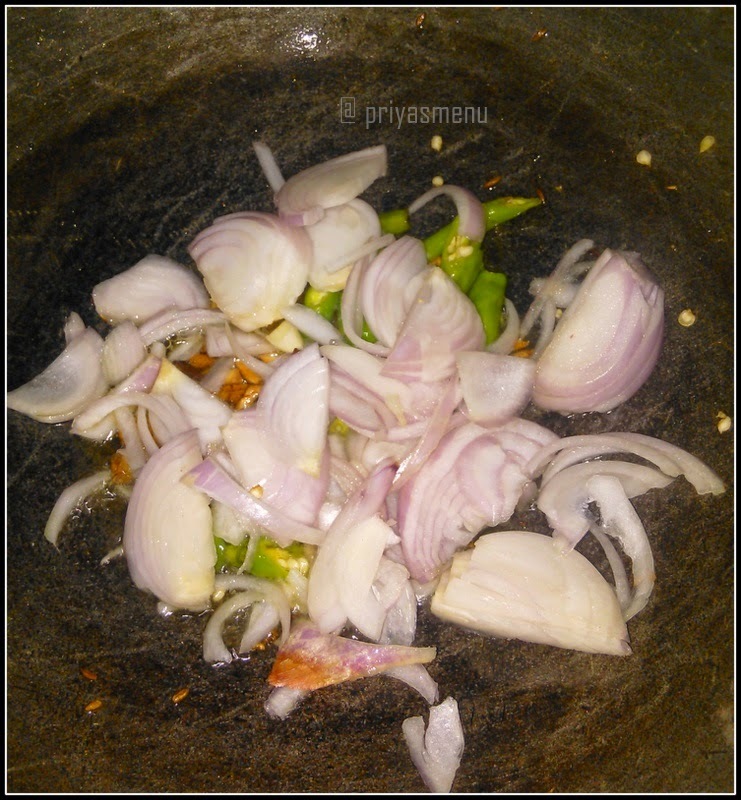 Add the sliced onions and green chillies. Saute till the color of onions changes. 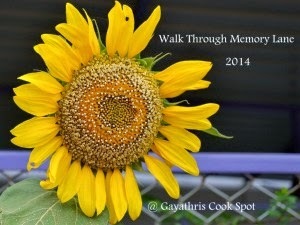 Now add Turmeric powder followed by Cumin powder, Coriander powder, Garam Masala and Salt. 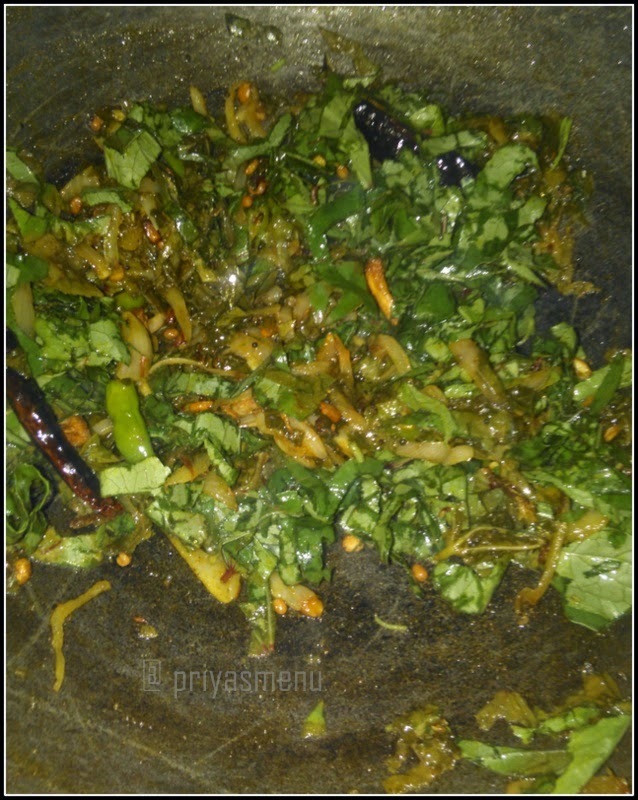 Mix well and add the chopped Gongura leaves. 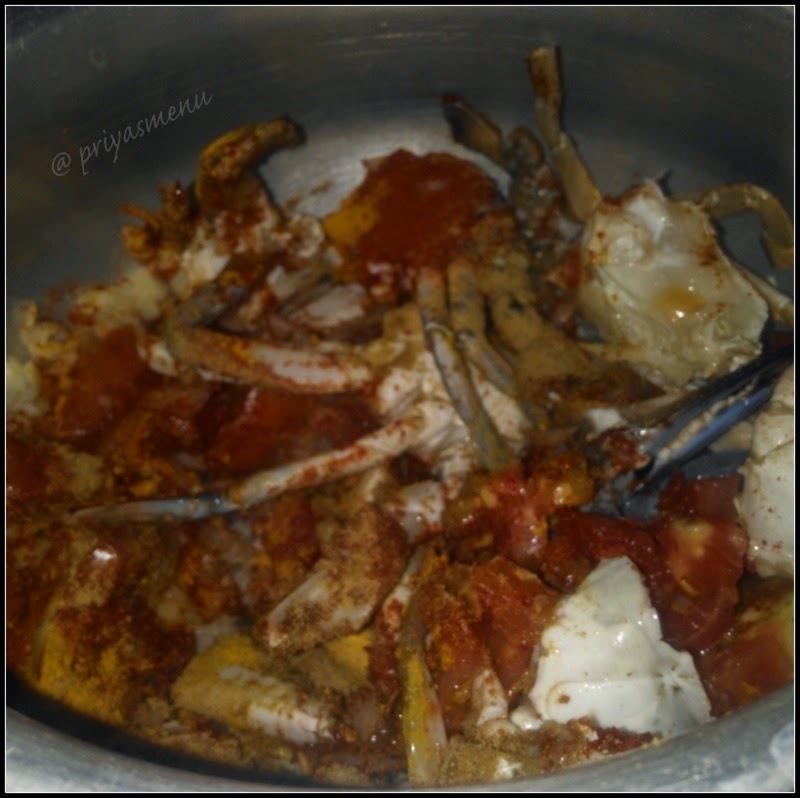 Cook for couple of minutes and add the cleaned prawns. 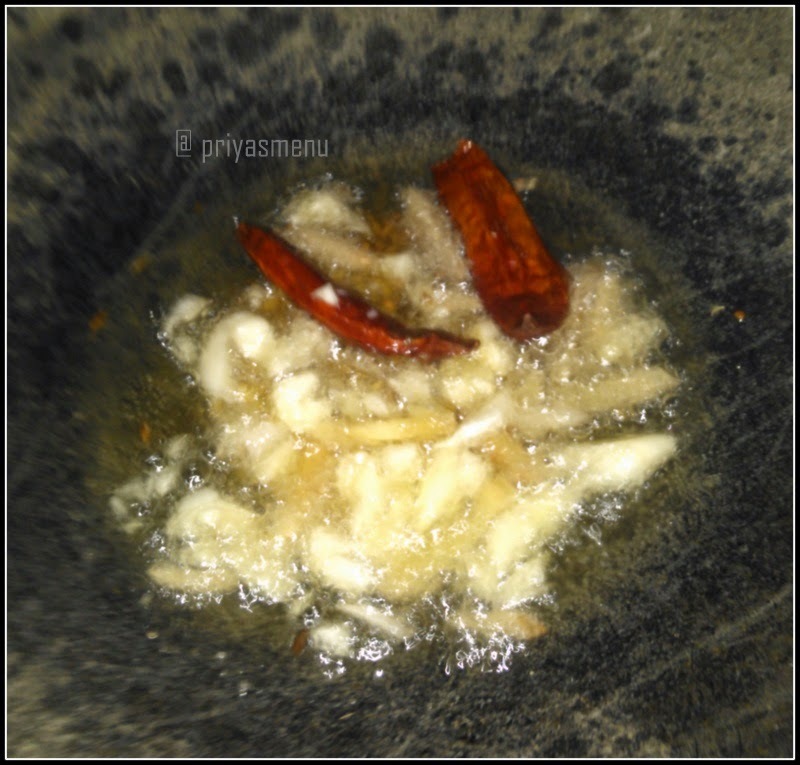 Add little water ( 2-3 Tbsp ) and mix well. Adjust salt at this stage. 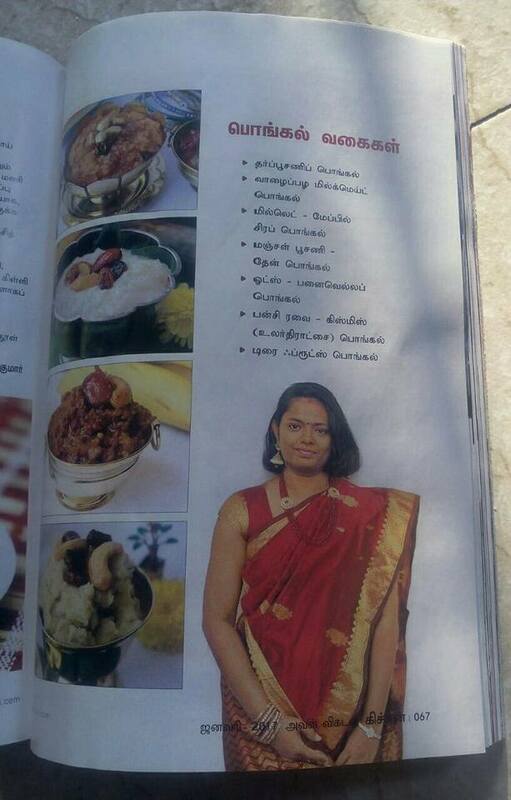 Cook for 4-5 minutes and switch of the flame. and cheese. 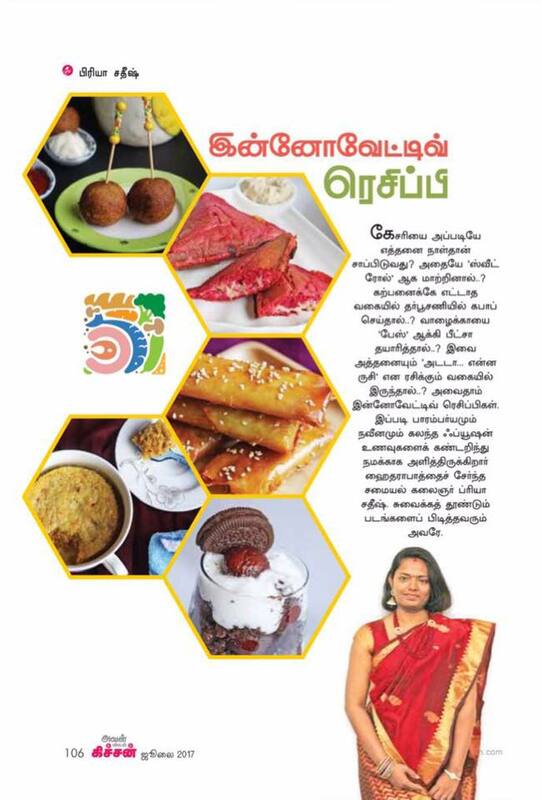 It is a fascinating food which is liked by all ages and when it is home made, the pleasure is immeasurable and completely healthy. 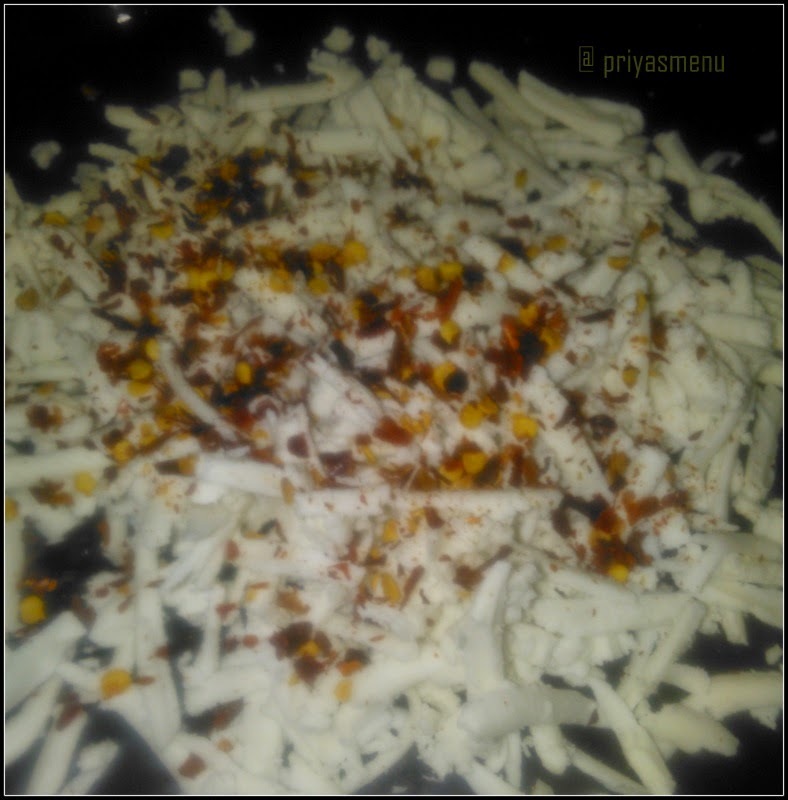 Just a couple of hours preparation will gives an delicious pizza with yummy topping of our choice. 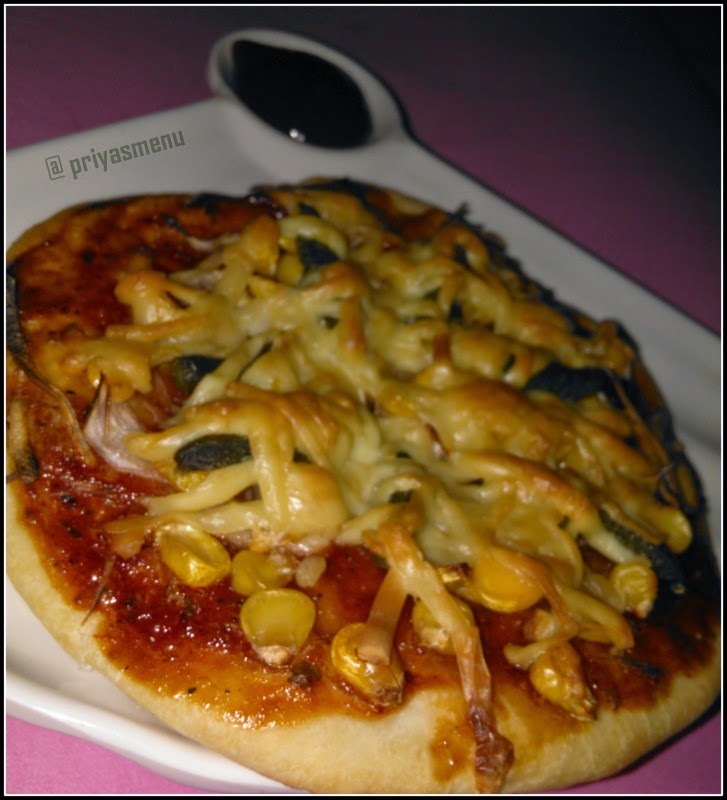 And I have used only limited toppings in this pizza as it goes to our favorite challenge "Shhh Cooking Secretly Challenge". 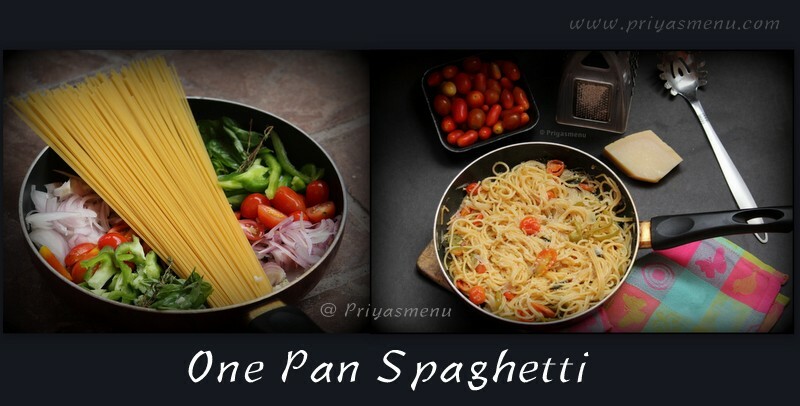 Everyone must be familiar about this famous challenge happening among bloggers and priya suresh from "priya's Versatile Recipes" is our brain child of this group. 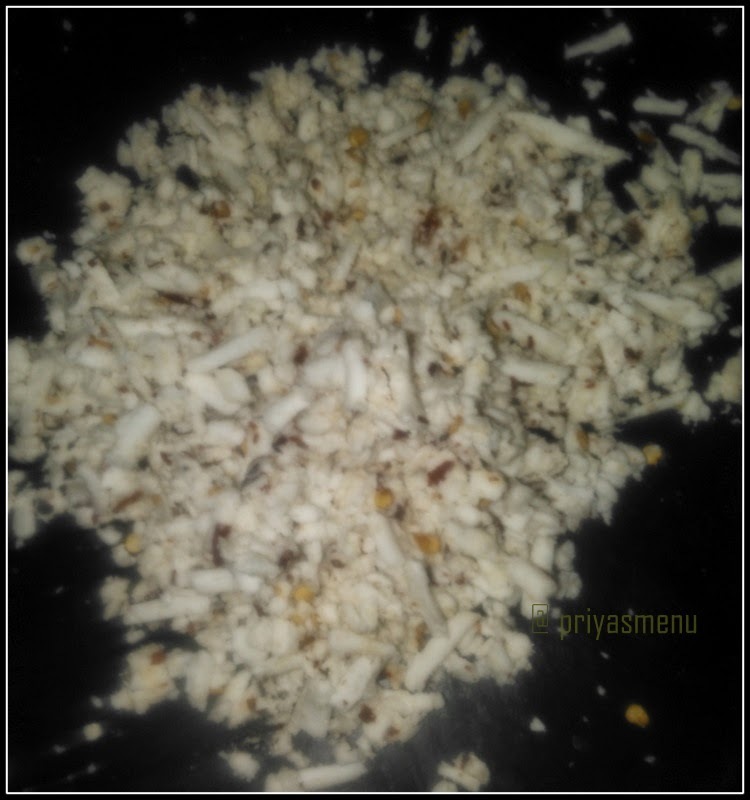 Click HERE to check a yummy and delicious sweet which was prepared by Nirmala Gurunadhan for this challenge ! Add All purpose flour, yeast, salt and olive oil in a bowl. Add water little by little and mix well to form a dough. 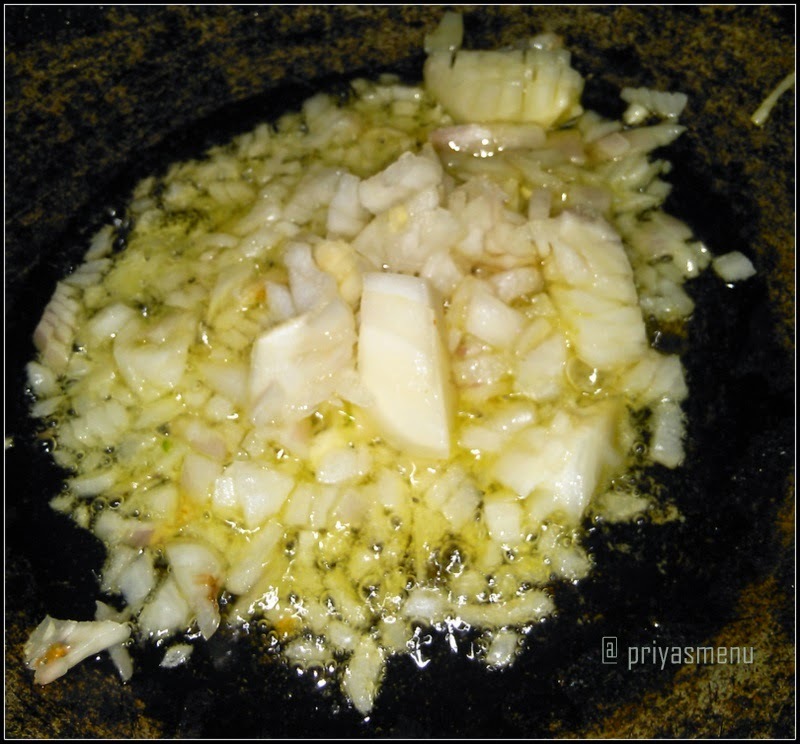 Grease a bowl with olive oil and place the dough. Cover it with a damp cloth or cling foil and keep aside till it gets doubled. Once it gets doubled, knead and divide the dough into 3 equal balls. 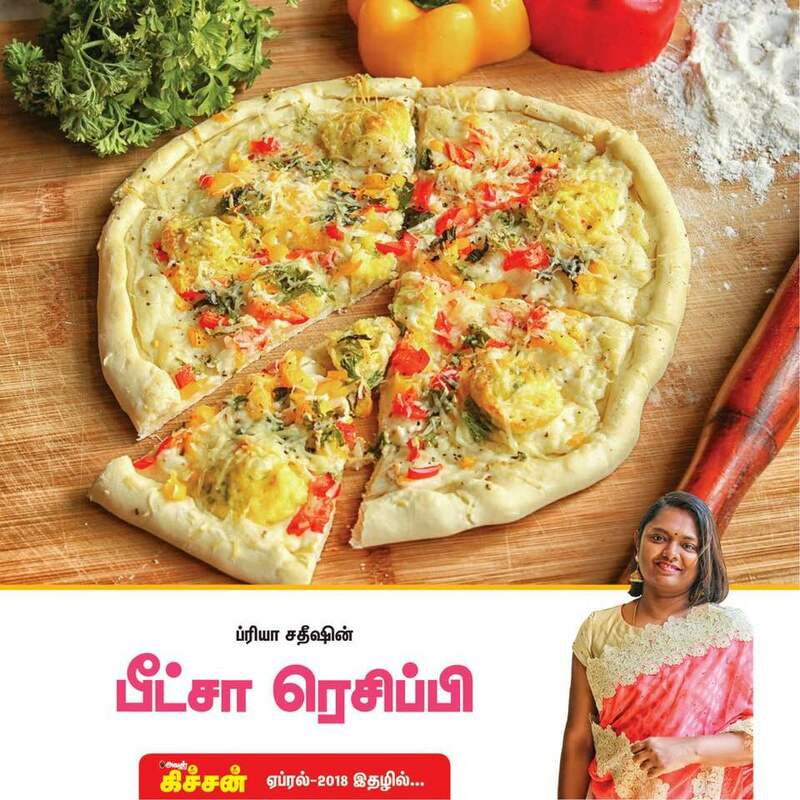 Meanwhile, take tomato sauce in a bowl and add pizza seasoning. Mix well. Take one dough and roll into small circle using rolling pin. 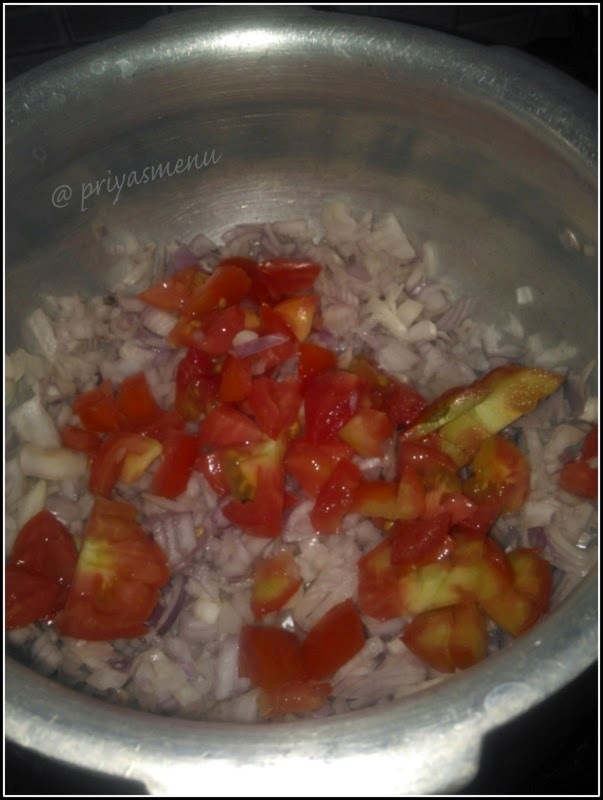 Spread the tomato sauce and arrange sliced onions followed by gherkins and corn kernels. 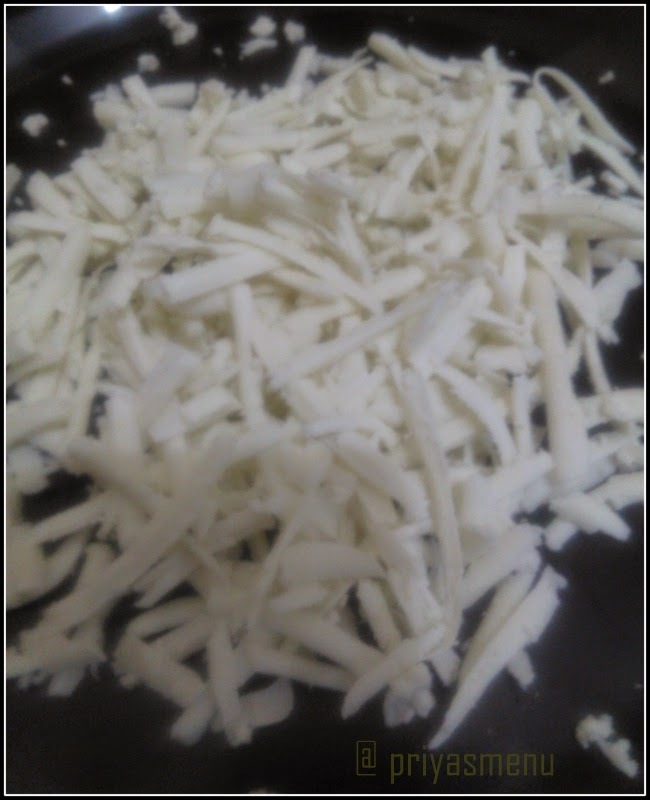 Sprinkle the grated cheese and bake it in a pre -nheated oven for 15-20 minutes at 200 degree C.
Remove and Repeat the procedure for the remaining dough. 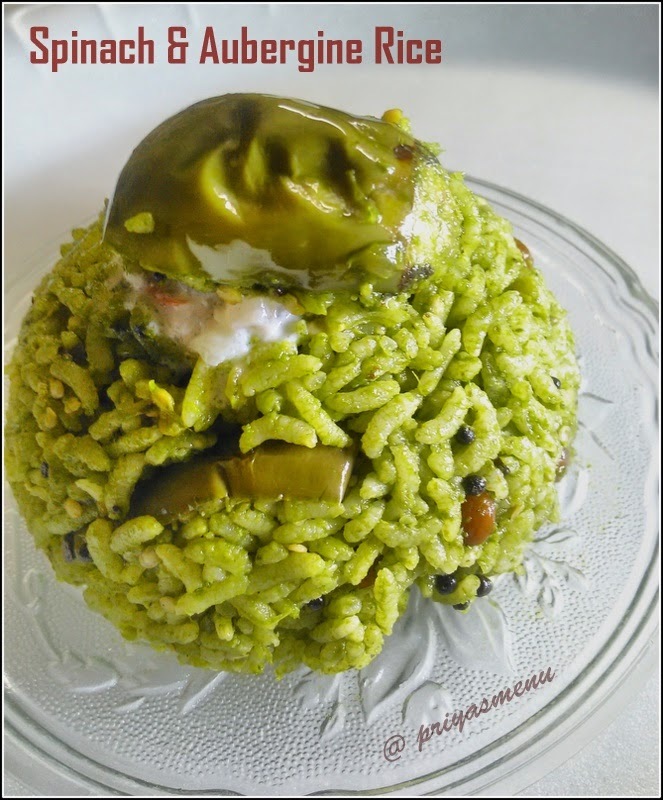 Most of you aware that I am posting my brother's favorite recipes for a week for Raksha Bandan and celebration time comes to an end today. 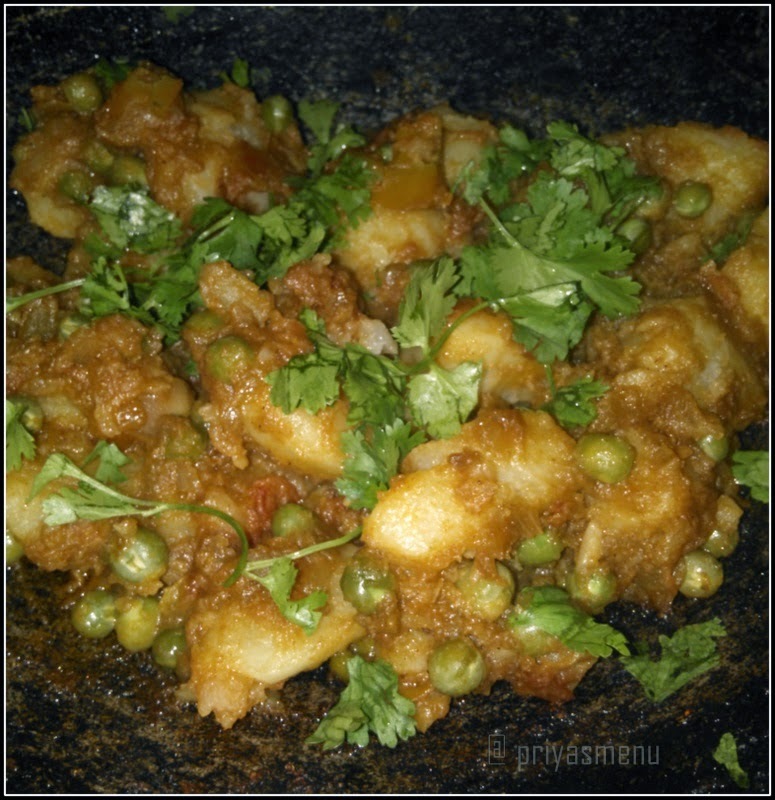 Potato and Peas fry is a spicy curry which is served with rice varieties like lemon rice, tamarind rice and it also goes well with sambhar, rasam and curd. 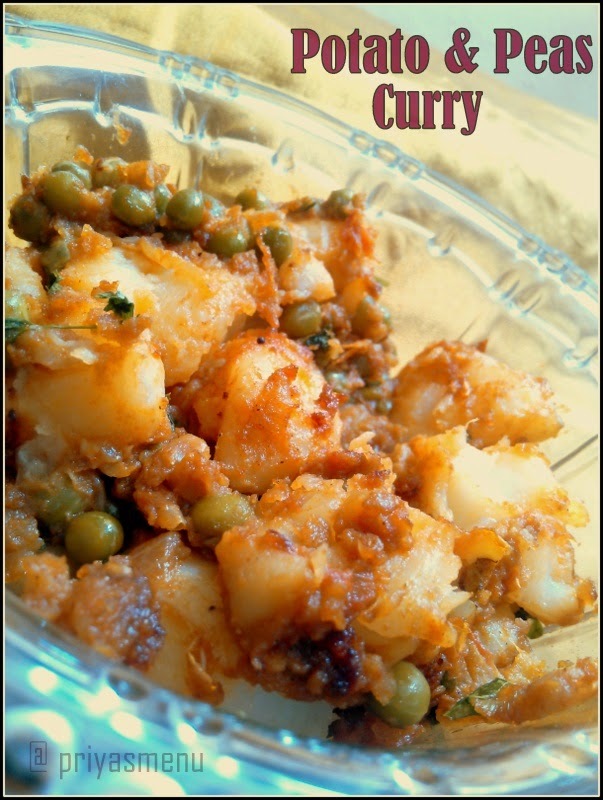 Dried peas can also be used in this recipe but it has to be soaked over night and pressure cooked for 4-5 whistles before adding to the curry. 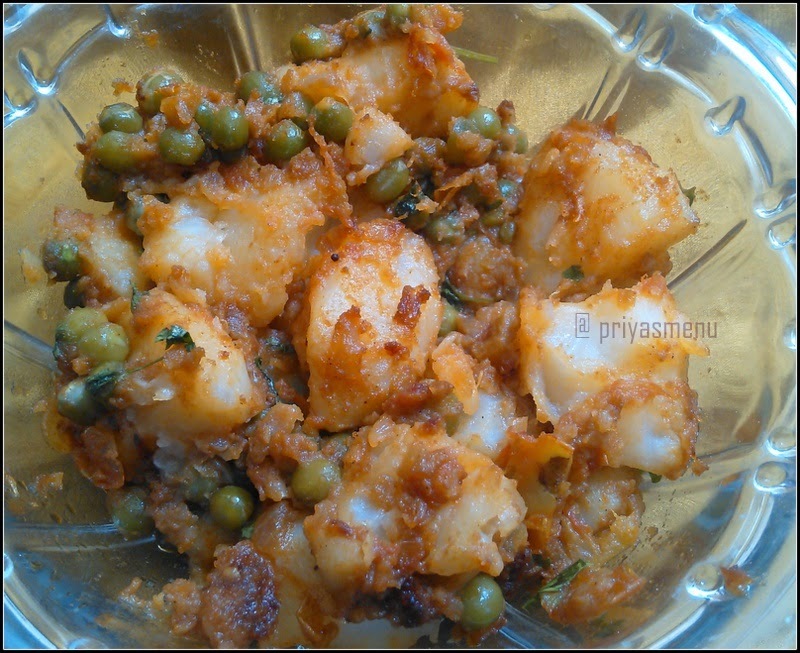 Cut potatoes and pressure cook it for 3 whistles or cook it for 7-10 minutes in a microwave. Heat 2 tbsp oil in a pan and add the chopped onions. 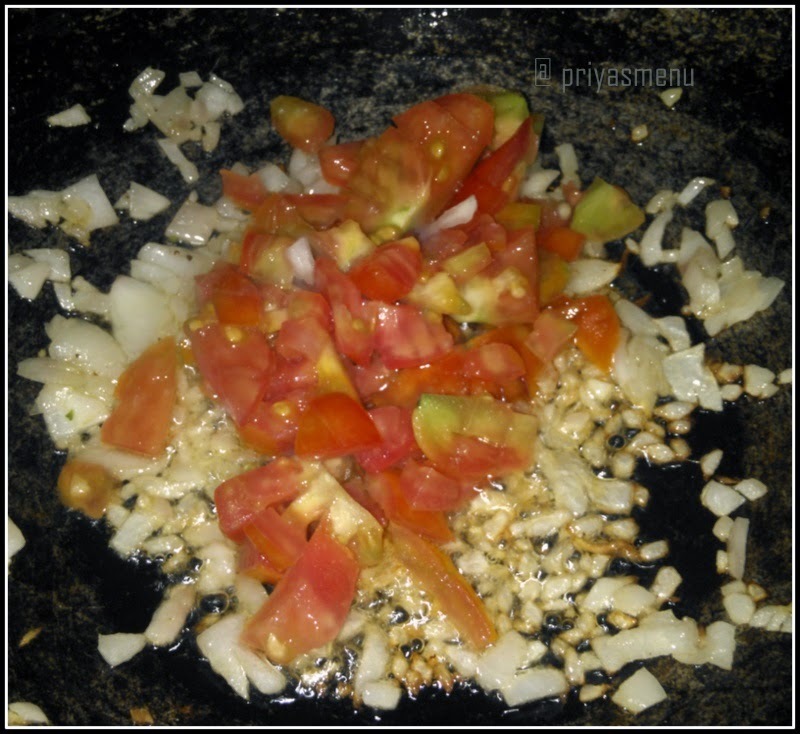 Fry it for 3-4 minutes in a medium flame and add the chopped tomato. 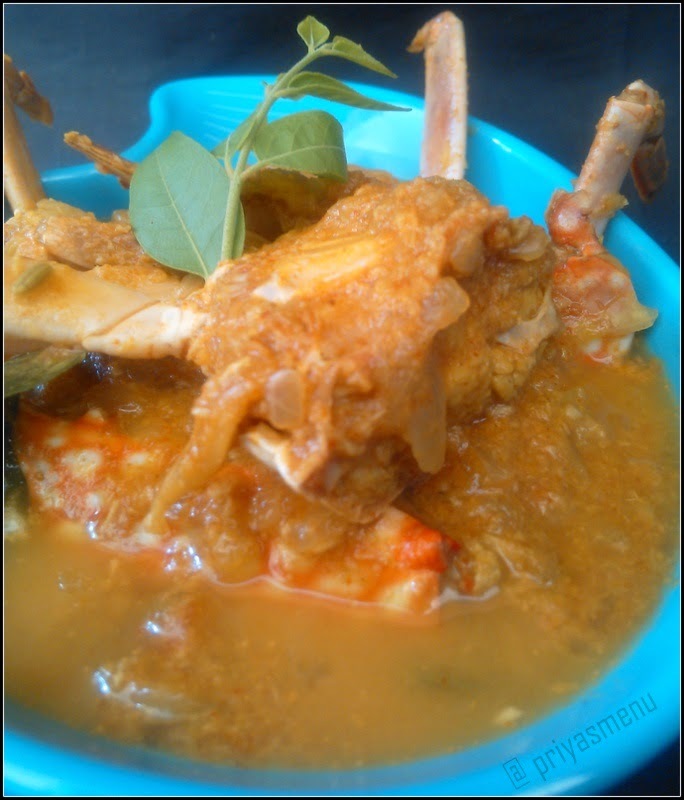 Cook till it turns soft and mushy. 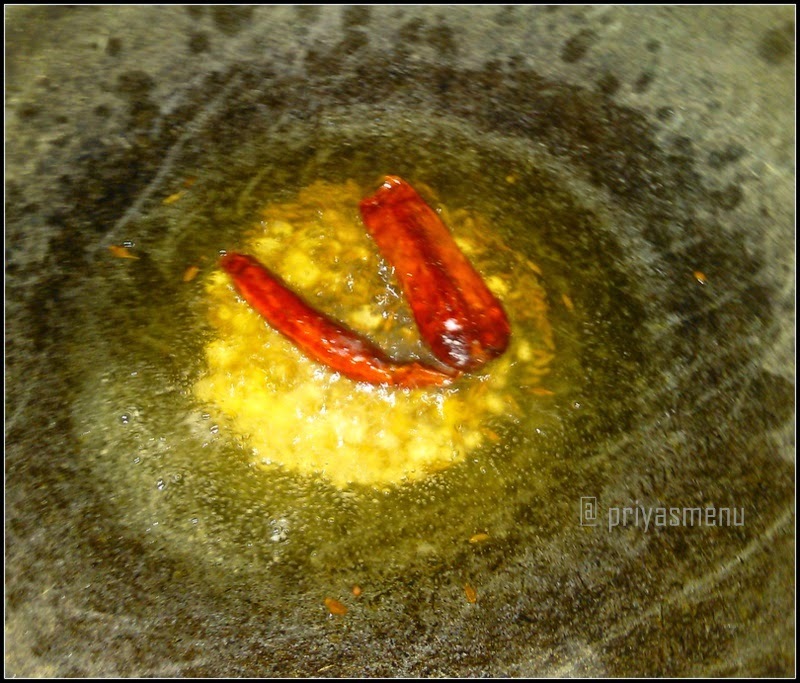 Add Turmeric powder followed by kuzhambu milagai thool and salt. 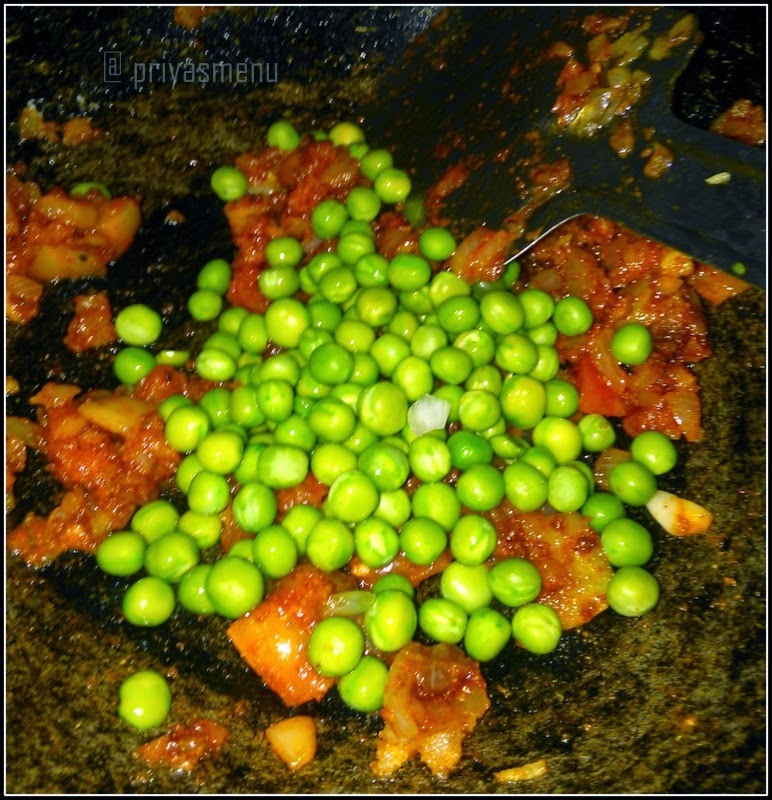 Mix well and add peas. Add 1/4 - 1/2 cup water and close the lid. 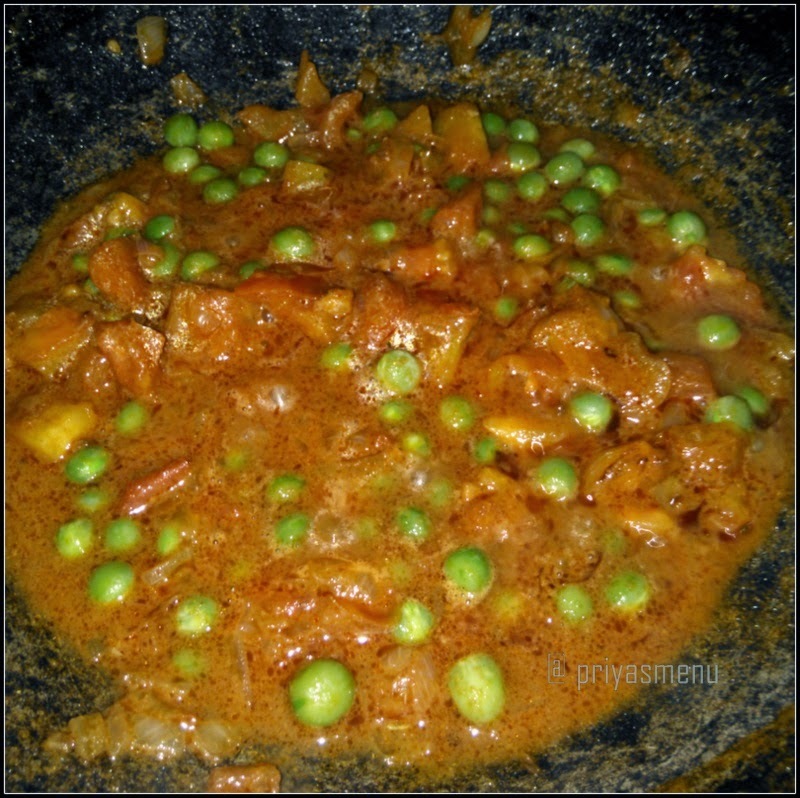 Cook for 7-10 minutes or till the peas gets cooked. 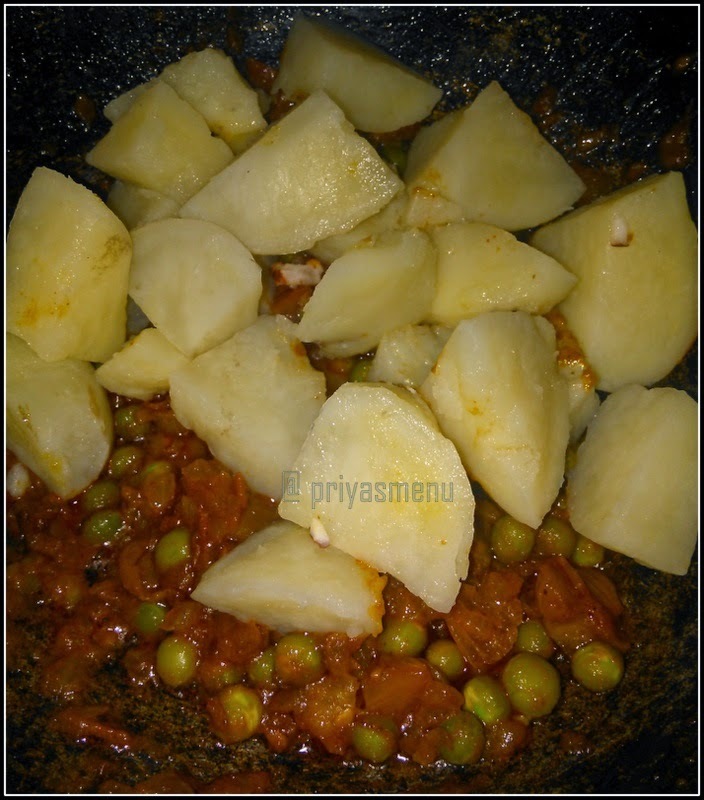 Now add the boiled potatoes and mix slowly. 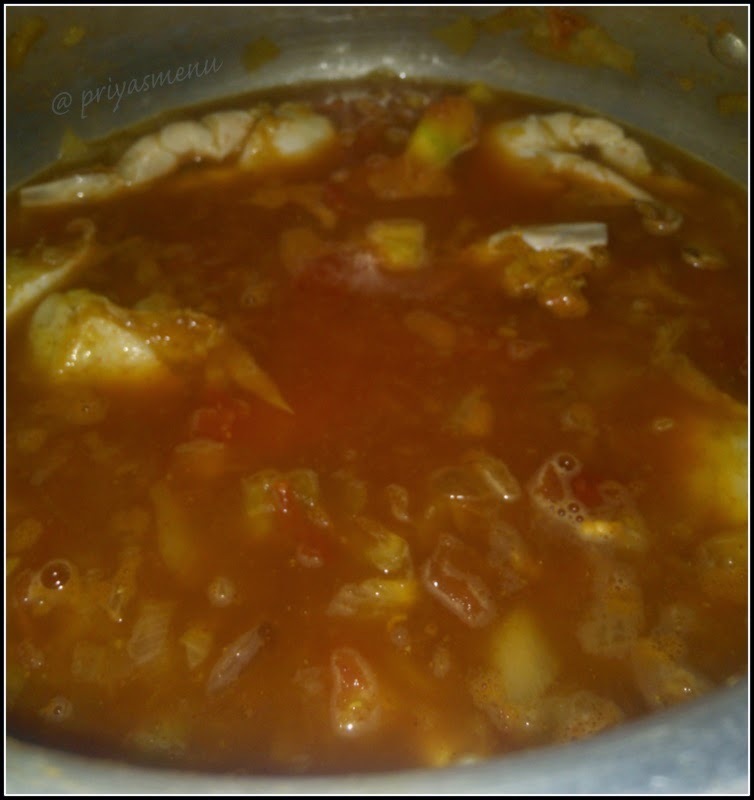 Simmer the flame and cook it for 5 minutes by adding 1 tbsp oil. 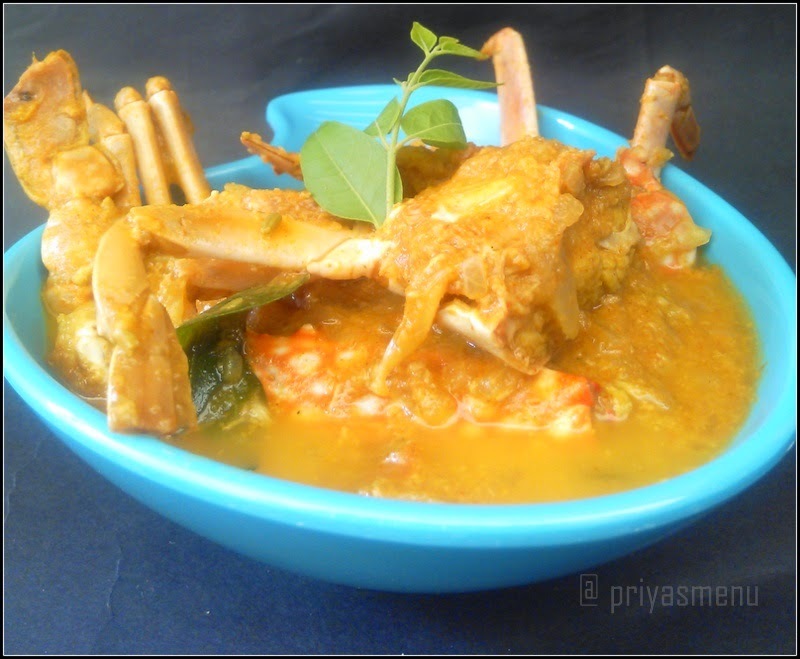 Serve with Rice and goes well with sambhar, rasam, curd or with any variety rice.